The laptop in the image shared by Asus on its social media page seems like the updated the ASUS ROG G703GI. Last week Intel announced its new 8th gen H-series mobile processors and almost all laptop OEMs have released upgraded variants of their existing laptop lineup powered by the new chips. While we are anticipating some of these laptops to make their way into India a couple of months, Asus has already confirmed that it is bringing its most powerful ROG laptop to India. 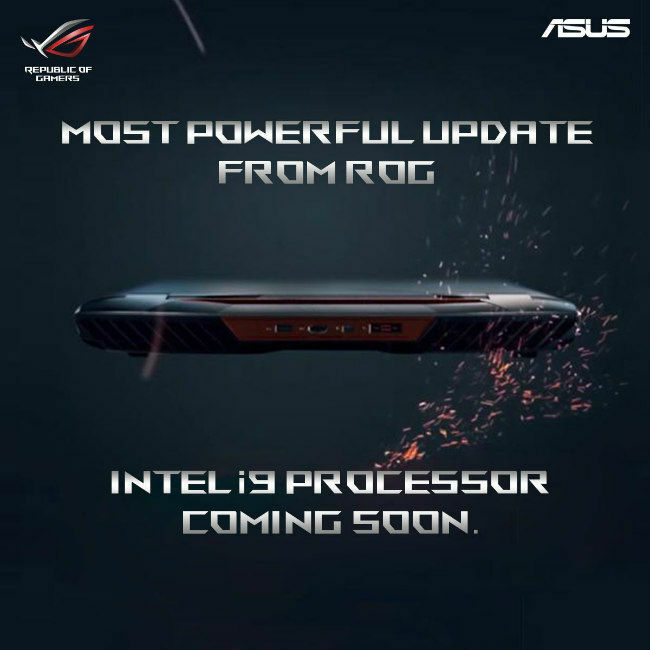 In a teaser shared by the ASUS, the company has shown the back of the ROG G703GI gaming laptop powered by the new Intel Core i9-8950HK processor. This is the only machine in the Asus ROG arsenal which features ports at the back in addition to the newer processor. 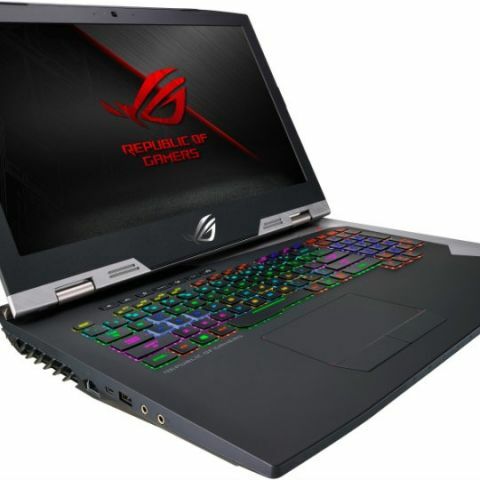 The laptop sports an NVIDIA GeForce GTX 1080 GPU with an 8GB GDDR5X VRAM, which enables the 17.3-inch Full HD display G-Sync panel offering a max refresh rate of 144Hz. There is space inside the machine for up to 64GB DDR4 RAM in dual channel and has multiple storage solutions including 3 x M.2 NVMe PCIe 3.0 slots along with a 2TB HDD. The company claims that the laptop can produce 143fps and 92fps at FHD Ultra settings in games like GTA V and The Witcher: Wild Hunt respectively. Being a top of the line gaming machine, the laptop also features an RGB keyboard with keys offering 2.5mm of key travel. Needless to say, it is a VR capable laptop. That said, Asus is not the only one gearing to launch new gaming laptop in India. MSI has already announced its laptop range in India and Dell is also likely to bring in its updated line of gaming laptops to India soon. Although, there is no news as of now about Acer and HP updating their respective gaming lineups in India. However, it is expected that these companies will also announce machines powered by the latest Intel processors in the coming months in India.